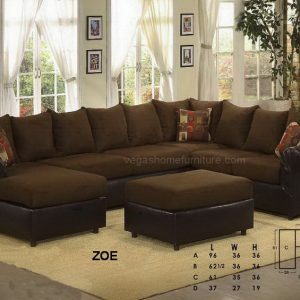 Bring an inviting and warm atmosphere to your living room with our Mallory sectional. Chocolate door tan microfiber match is paired with tri-tone leather like vinyl to create a casual style. Loose seat and back cushions will keep you and your guests comfortable and complementary accent pillows add style to this piece. 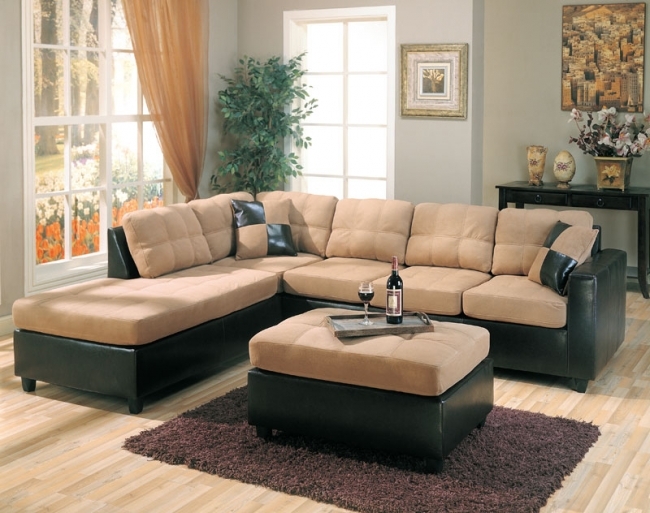 Our Mallory sectional has reversible construction making it easy to change the look of your room. Pair this piece with a matching ottoman.